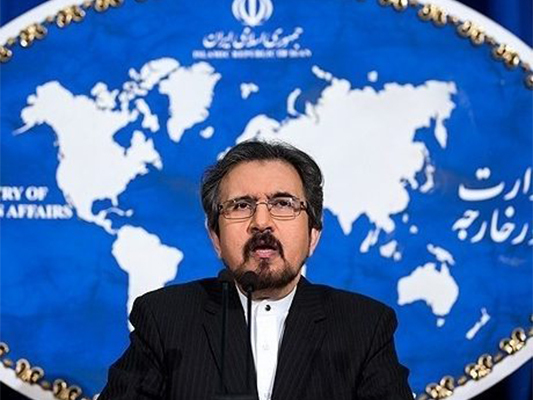 Iran’s foreign ministry spokesman has vehemently censured the Israeli regime’s brutal airstrike on the Gaza Strip and their aggression against the people of the enclave which led to the martyrdom of a group of Palestinians. “The blood-thirsty Zionist regime is trying to bend the will of the oppressed people of the occupied territories to guarantee its security by killing Palestinian youths,”Bahram Qassemi said in a Monday statement. “This is while seven decades of crimes, bloodshed and child-killing could not weaken the determination of this patient and courageous people at all,” Qassemi added. Earlier in the day, Israeli war planes bombarded and destroyed a lifeline tunnel in the southern part of the besieged Gaza Strip. Among the victims were two senior commanders of al-Quds Brigades, which is the military wing of the Palestinian Islamic Jihad movement. The tunnel, which was still under construction, reportedly belonged to Hamas resistance movement and infiltrated into the heart of the occupied Palestinian territories.